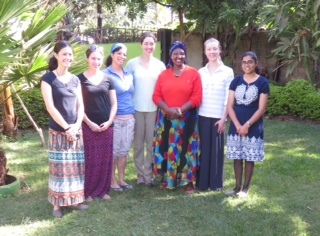 We have been in Kenya for just over a month now. We have settled in quite nicely with our extended Kenyan family, including those with whom we stay in Ichamara and the local villagers and farmers with whom we are working on a daily basis. I have even learned to love peanut butter and jelly sandwiches. Lucky for me, I get to have them for lunch every day for the next 6 weeks! 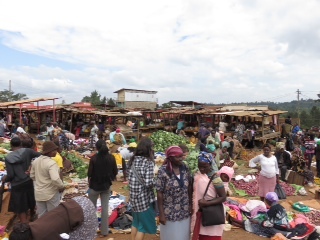 After a week of visiting farms we headed to Meru for the weekend, which is located on the north side of Mount Kenya. There we met Jennifer, an influential lady in her community. She is one of the founding members of Muchui Women’s Group, a Kenyan partner of Farmers Helping Farmers, and is heavily involved in coordinating projects in her area. She was also the head of a women’s group whose mission was to better the livelihood of the community through the sale of crops and distribution of water tanks. She has done a lot in her community and is greatly respected. We also met Emily and Krista, two veterinary students from the Atlantic Veterinary College in PEI working with Farmers Helping Farmers in Meru. 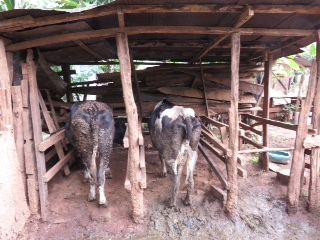 They are starting up a similar project regarding cow comfort, welfare, and nutrition in Meru. We spent time with Jennifer, Emily, and Krista learning more about their projects. On Saturday, we did a day hike on Mount Kenya. 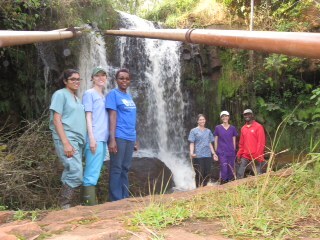 We hiked approximately 18 kilometers to Lake Alice and Nithi Falls. Although the hike was long, the views were breathtaking and worth the hard work! On Sunday, Jennifer took us to church. Church is a very important part of most Kenyans’ Sundays. The people were very welcoming and made us feel right at home. Jennifer had us go up and introduce ourselves as her “Canadian daughters”. Part of church consisted of an auction of food donated by people. As a welcome gesture to us and to show their appreciation, many members of the church bought items from the auction for us. We went home with a lot of cabbage and green beans! 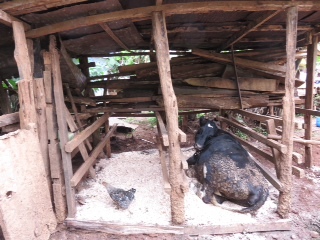 Fixed stalls: after shot: She's lying down!